Horror has emerged as one of the most lucrative and in-demand genres in Hollywood, a box-office success story as well as — thanks to a new generation of ambitious genre filmmakers — a creative one. Like perhaps never before, horror is hot. For an industry that has struggled to find areas of growth outside of the pages of comic books, it's now hailing slashers as saviors. It certainly was to Paramount Pictures — the most hit-starved of the major studios — when John Krasinski's "A Quiet Place" last weekend blew away expectations to debut with $50.2 million. Despite costing only $17 million to make, the expertly sound-designed suspense film may pass $100 million over this weekend. "The thing I learned most from watching all these horror movies to catch up was how ignorant I was to stay away from them," says Krasinski. "You realize that some of the best films are being made in the genre space. From 'Get Out,' to 'The Babadook,' to 'The Witch' to 'Let the Right One in' — I mean, these movies are just phenomenal. Kyle Davies, distribution chief for Paramount, believes the success of "A Quiet Place" — like "Get Out" and "It" before it — has less to do with its genre than its story. 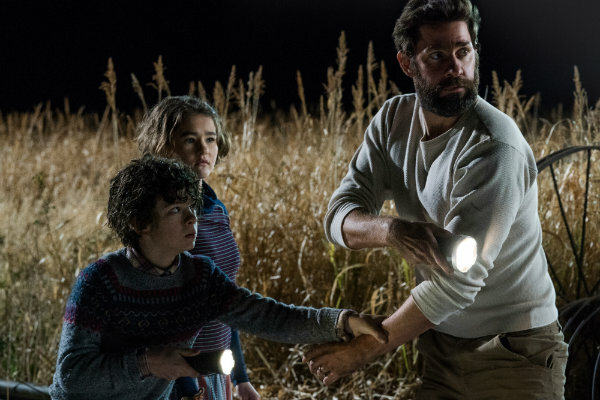 At its core, "A Quiet Place" is about trying to keep a family together with mysterious, unknowable threats all around.